This entry was posted on January 11, 2012 by croshame. 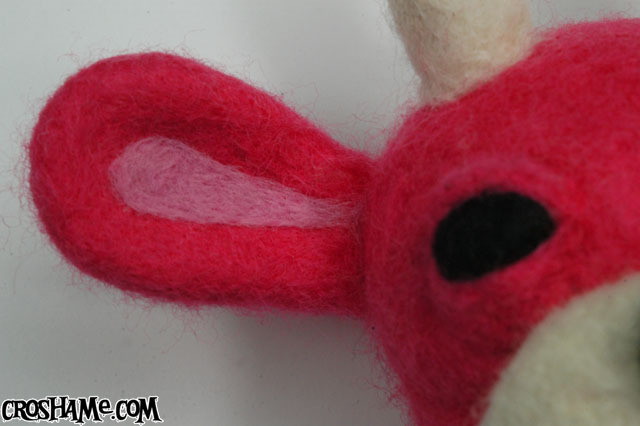 It was filed under Helpful Tips, Needle Felting . Bravo !!! 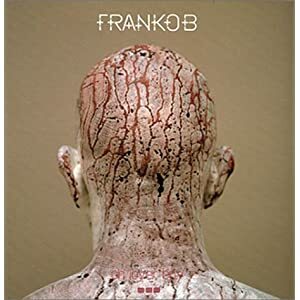 …as usual….blood, sweat & tears …. Thanks! 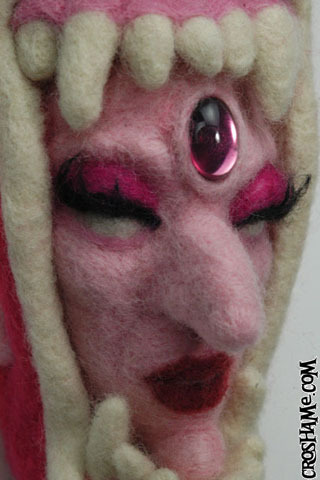 First I needle felted a little ridge around the gem, then for security I hot glued it to her forehead… nothing too fancy! Oh that’s nice and easy. 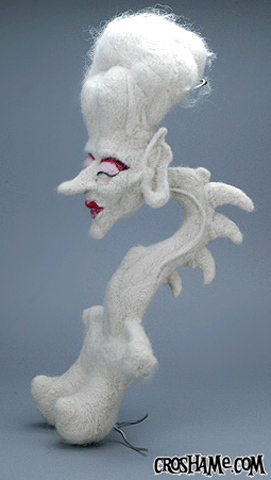 I keep trying to conquer felting in beads – more trouble than it’s worth! 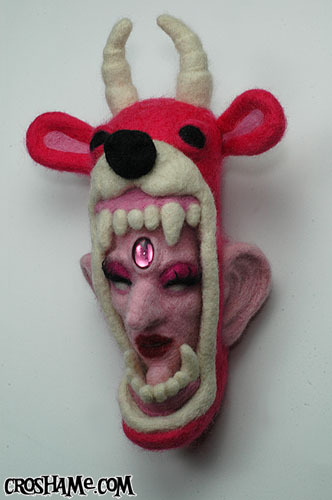 Hey there, I ran across your blog during a “needle felted sculpture” search on google. I notice you mentioned you didn’t like how pock marked your first lady is. You wouldn’t have that problem if you switched to a harder wool. Wool like Merino leaves more holes behind, but wool like Corriedale (what i use) leaves much less. 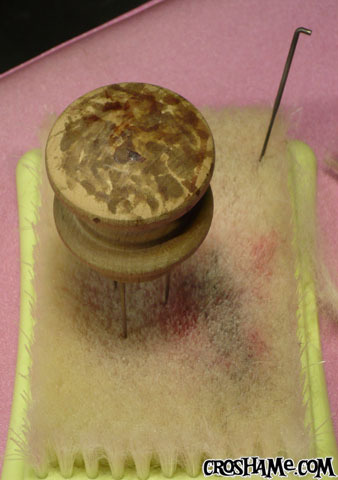 Also, if you wet your finger just a bit and rub the wool, you’ll see less holes. You can go back in after and snip off the fuzzy bits with scissors. Not sure if you’ve figured this out already, but if not, I hope that helps! 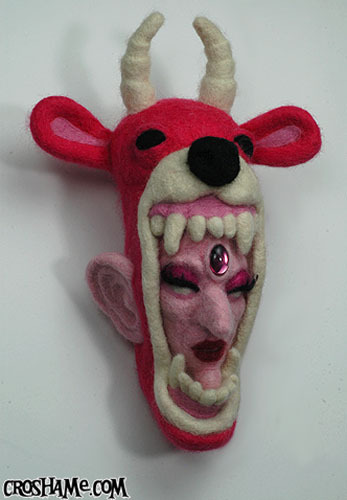 Wow needle felting seems very complicated! 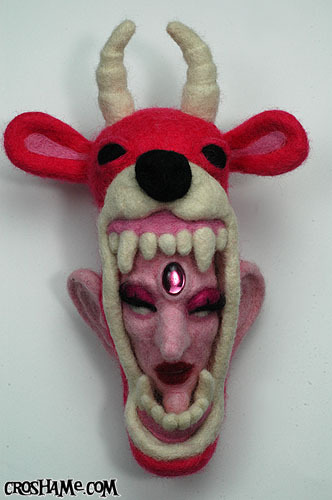 I am trying to learn how to do more detailed things in my sewing but I don’t know if I want to commit to this. I would probably buy a machine that knows how to do it much better than I do.